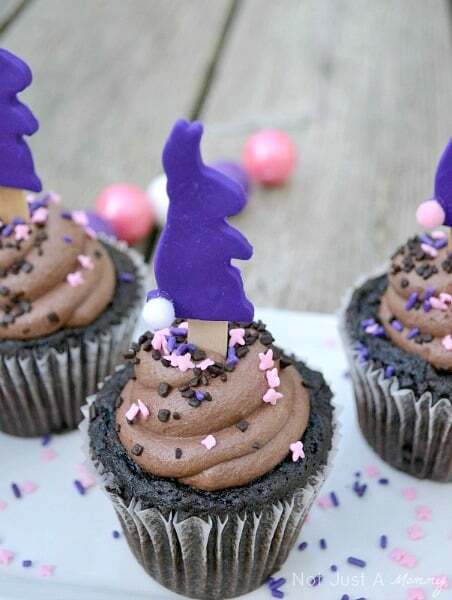 This post on Easter cupcake ideas is courtesy of our contributor Dawn…When I came across these cute napkins from Target, my party wheels started turning. A few years ago, I made polymer clay ornaments using mini cookie cutters. 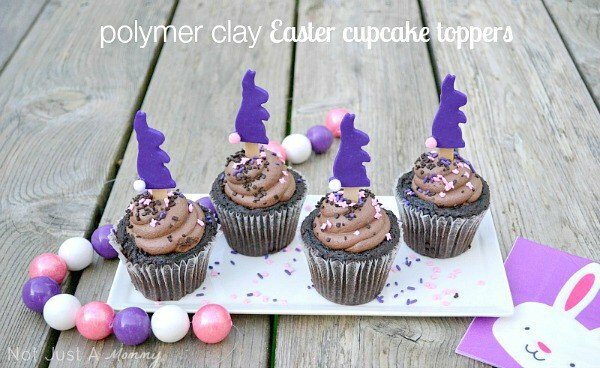 I knew I could turn them into fun Easter cupcake toppers. The kids will love to help you make these. Polymer clay is the perfect medium for fun crafts because you treat it like clay and then ‘fire’ it in your oven. 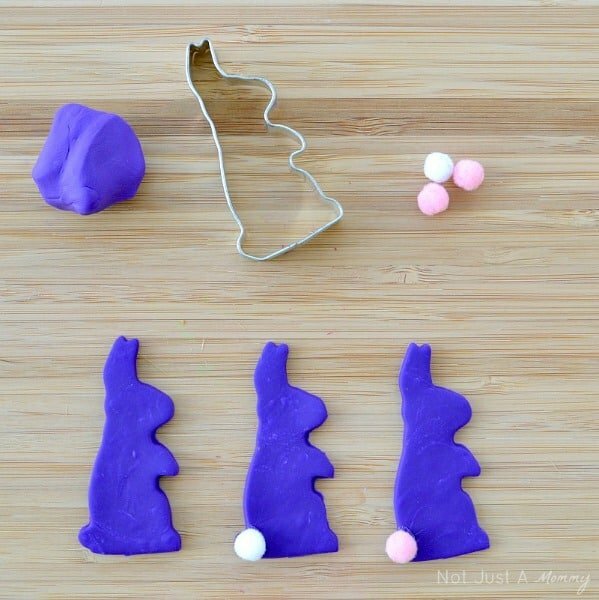 We rolled out our clay to 1/8″ thickness and cut out with our bunny mini cookie cutter. We baked it according to the package directions, covering our baking sheet with a wax paper, and once our bunnies cooled, I hot-glued the pom-poms on. Another drop of hot-glue onto popsicles and you are ready for cupcake cuteness. 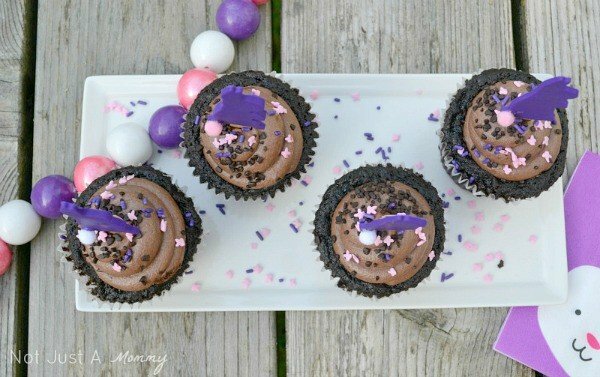 To finish off our cupcakes, we added bunny and purple sprinkles. And how fun is our gumball garland? Every party needs one; I made mine with SweetWorks shimmer pink, dark purple and white gumballs strung on fishing line. I used to use a skewer to make the holes but I finally invested in an awl from Joann or you can find them in the sewing section of your favorite craft or big box store. Making the holes now are soooo much easier, and less risk of cracking the gumball. Have fun celebrating this Easter! Dawn is always full of creative ideas! To check out more of her work, follow Not Just A Mommy on Facebook, Twitter, Pinterest and Instagram. Never miss a post by signing up by email. You can also follow the blog with Feedly. Don’t forget to check out her fun tutorial on Easter Paper Baskets. These are so cute! For more fun holiday ideas, visit our special Easter page. 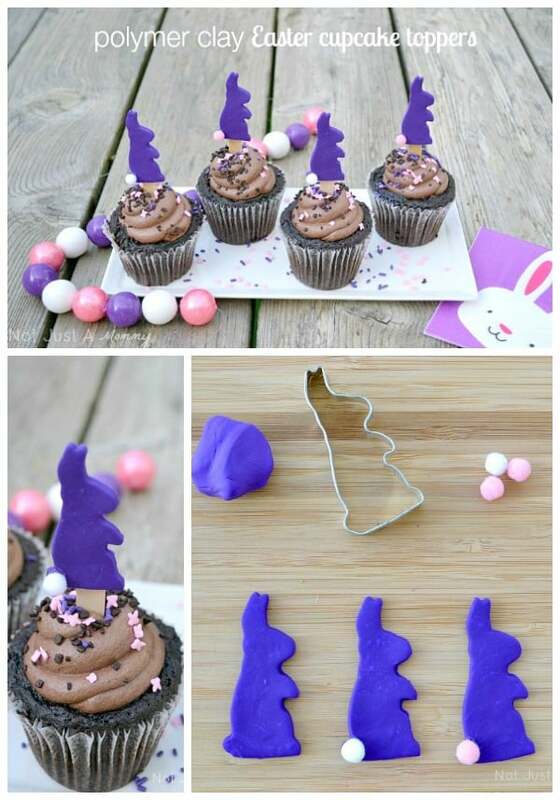 These are so cute, and I like the purple color to the bunnies. These look so delicious and a nice dessert for Easter. I am not very creative and I like getting inspiration to try different recipes. This is one I like to try!